Click on the pictures below to go to learning site.org, history.com, and bbc.com for articles, videos, timelines, and much more. 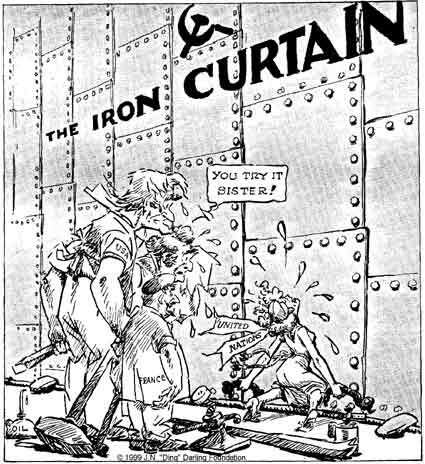 By the time World War II ended, most American officials agreed that the best defense against the Soviet threat was a strategy called “containment.” In 1946, in his famous “Long Telegram,” the diplomat George Kennan (1904-2005) explained this policy: The Soviet Union, he wrote, was “a political force committed fanatically to the belief that with the U.S. there can be no permanent modus vivendi [agreement between parties that disagree]”; as a result, America’s only choice was the “long-term, patient but firm and vigilant containment of Russian expansive tendencies.” President Harry Truman(1884-1972) agreed. “It must be the policy of the United States,” he declared before Congress in 1947, “to support free peoples who are resisting attempted subjugation…by outside pressures.” This way of thinking would shape American foreign policy for the next four decades. The Atomic Age The containment strategy also provided the rationale for an unprecedented arms buildup in the United States. In 1950, a National Security Council Report known as NSC–68 had echoed Truman’s recommendation that the country use military force to "contain" communist expansionism anywhere it seemed to be occurring. To that end, the report called for a four-fold increase in defense spending. In particular, American officials encouraged the development of atomic weapons like the ones that had ended World War II. Thus began a deadly "arms race." In 1949, the Soviets tested an atom bomb of their own. In response, President Truman announced that the United States would build an even more destructive atomic weapon: the hydrogen bomb, or "superbomb." Stalin followed suit. The ever-present threat of nuclear annihilation had a great impact on American domestic life as well. People built bomb shelters in their backyards. They practiced attack drills in schools and other public places. The 1950s and1960s saw an epidemic of popular films that horrified moviegoers with depictions of nuclear devastation and mutant creatures. In these and other ways, the Cold War was a constant presence in Americans’ everyday lives. Extends to Space Space exploration served as another dramatic arena for Cold War competition. On October 4, 1957, a Soviet R-7 intercontinental ballistic missile launched Sputnik (Russian for "traveler"), the world's first artificial satellite and the first man-made object to be placed into the Earth's orbit. Sputnik's launch came as a surprise, and not a pleasant one, to most Americans. In the United States, space was seen as the next frontier, a logical extension of the grand American tradition of exploration, and it was crucial not to lose too much ground to the Soviets. In addition, this demonstration of the overwhelming power of the R-7 missile–seemingly capable of delivering a nuclear warhead into U.S. air space–made gathering intelligence about Soviet military activities particularly urgent. That May, after Alan Shepard become the first American man in space, President John F. Kennedy (1917-1963) made the bold public claim that the U.S. would land a man on the moon by the end of the decade. His prediction came true on July 20, 1969, when Neil Armstrong of NASA’s Apollo 11 mission, became the first man to set food on the moon, effectively winning the Space Race for the Americans. U.S. astronauts came to be seen as the ultimate American heroes, and earth-bound men and women seemed to enjoy living vicariously through them. Soviets, in turn, were pictured as the ultimate villains, with their massive, relentless efforts to surpass America and prove the power of the communist system. The Red Scare Meanwhile, beginning in 1947, the House Un-American Activities Committee (HUAC) brought the Cold War home in another way. The committee began a series of hearings designed to show that communist subversion in the United States was alive and well. In Hollywood, HUAC forced hundreds of people who worked in the movie industry to renounce left-wing political beliefs and testify against one another. More than 500 people lost their jobs. Many of these "blacklisted" writers, directors, actors and others were unable to work again for more than a decade. HUAC also accused State Department workers of engaging in subversive activities. Soon, other anticommunist politicians, most notably Senator Joseph McCarthy (1908-1957), expanded this probe to include anyone who worked in the federal government. Thousands of federal employees were investigated, fired and even prosecuted. As this anticommunist hysteria spread throughout the 1950s, liberal college professors lost their jobs, people were asked to testify against colleagues and "loyalty oaths" became commonplace. 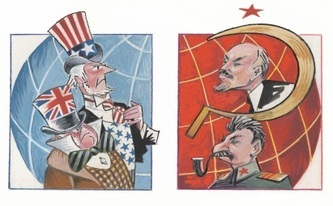 The Cold War AbroadThe fight against subversion at home mirrored a growing concern with the Soviet threat abroad. In June 1950, the first military action of the Cold War began when the Soviet-backed North Korean People’s Army invaded its pro-Western neighbor to the south. Many American officials feared this was the first step in a communist campaign to take over the world and deemed that nonintervention was not an option. Truman sent the American military into Korea, but the war dragged to a stalemate and ended in 1953. Other international disputes followed. In the early 1960s, President Kennedy faced a number of troubling situations in his own hemisphere. The Bay of Pigs invasion in 1961 and the Cuban missile crisis the following year seemed to prove that the real communist threat now lay in the unstable, postcolonial "Third World" Nowhere was this more apparent than in Vietnam, where the collapse of the French colonial regime had led to a struggle between the American-backed nationalist Ngo Dinh Diem in the south and the communist nationalist Ho Chi Minh in the north. 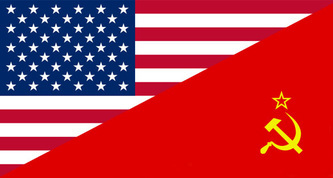 Since the 1950s, the United States had been committed to the survival of an anticommunist government in the region, and by the early 1960s it seemed clear to American leaders that if they were to successfully "contain" communist expansionism there, they would have to intervene more actively on Diem’s behalf. However, what was intended to be a brief military action spiraled into a 10-year conflict. 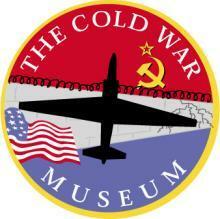 The cold war museum website has a timeline at the top of the website. If you click on a decade you will see all of the cold war topics for that decade. All of the terms and topics that we discuss in class can be found on this website with articles, resources, and podcasts covering these topics. There are activities, exhibits, podcasts, and trivia games on this site. Just click on the picture to the right and it will take you there.